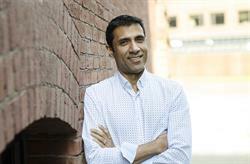 CAMBRIDGE, MA--(Marketwired - June 07, 2016) - NuoDB, the database for cloud-enabled global applications, today announced Ariff Kassam has joined the company as Vice President of Products. Kassam will apply his 20 years of database and infrastructure experience to help NuoDB achieve its vision of a global database that can manage an organization's most valuable data while exploiting the emerging benefits of modern infrastructures such as cloud and containers. Kassam is a technical patent holder for distributed database design and a passionate technical executive known for his ability to provide proven strategic direction in the face of rapidly changing business requirements. He has held senior leadership positions at Teradata, xkoto, and Halcyon Monitoring Solutions. As Teradata's Vice President, Unified Data Architecture Platform, he was responsible for the strategy and product management of Teradata's next generation software solutions such as Teradata Listener, Teradata AppCenter, and Teradata QueryGrid among others. Kassam was also responsible for guiding Teradata's strategy and investments to achieve the company's analytical ecosystem vision. Kassam joined Teradata through the acquisition of database virtualization company xkoto, which targeted enterprises that required continuous database availability and horizontal scalability. As co-founder and CTO, he was responsible for product vision, evangelizing the concept of database virtualization, and building lasting relationships with strategic partners and customers alike. In addition, Kassam holds a technical patent with four others for developing a "Method and System for Load Balancing a Distributed Database" (U.S. Patent No. 8,209,696). Educated in Toronto, Kassam holds a M. Sc. in Medical Biophysics from the University of Toronto and B.A. Sc. in Systems Design Engineering from the University of Waterloo. "Besides NuoDB, there are no databases today that can maintain confidence in their valuable data while also providing the agility and flexibility required to meet today's rapidly evolving application requirements," said Kassam. "I'm excited to be part of this team and look forward to driving our product direction to match the evolving needs of the market." "Ariff has experienced the market evolution firsthand and will help us continue to lead the market as we extend our vision for next generation database management systems," said Bob Walmsley, president and CEO of NuoDB. "His expertise will help us to continue to lead the market as we extend our vision for next generation database management systems." NuoDB's purpose-built SQL database combines the simplicity, rigor, and reliability of a traditional relational database with the elasticity, agility, and global accessibility provided by the cloud. As application vendors and enterprises increasingly turn to the hybrid cloud to support their growing, global, and mobile, customer base, they rely on NuoDB as the only database that can maintain transactional consistency and integrity at global scale. These organizations trust NuoDB to meet all their needs -- active-active deployment, elastic scalability, data residency, and more -- as they run applications in the cloud.